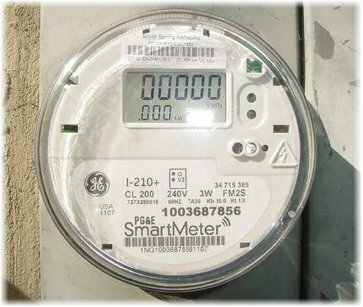 Have you had a “Smart Meter” installed on your home yet? Did your power company explain to you the dangers of having one of these devices? Probably not. For me personally, I opted out of having a Smart Meter installed and keeping the old one but now I am paying the power company a monthly fee to keep the old meter on my home. I strongly dislike “monopolies”. What many people don’t realize is that smart meters constantly pump out a pulsed surge of microwave radiation with every transmission of data to the utility companies. This cancer-causing energy can go through walls and the human body – causing all kinds of health issues including headaches, insomnia, brain damage and autoimmune-related health problems. Particularly vulnerable groups include children, pregnant women, seniors, people with compromised immune systems, and people with medical implants (the utility company itself warns people with pacemakers to stand at last six inches away). Simply put, if your local utility company wants to put a smart meters on your home – I urge you to refuse it if you can because you have rights. To learn more about this particular topic – watch “Take Back Your Power” – an incredible documentary highlighting the health dangers, privacy and security issues surrounding smart meters plus ways to protect your health. In the past 80 years, there have been over 6,000 scientific papers written which show that electromagnetic fields – like those coming from smart meters – cause biological changes in human physiology. One particular study, from the University of Athens showed that 143 proteins in the brain were altered, after exposure to mobile and cordless phone devices, including proteins linked to Alzheimer’s, brain tumors, stress and metabolism disorders. Lead author, Adamantia Fragopoulou said, “this study is anticipated to throw light in the understanding of such health effects like headaches, dizziness, sleep disorders, memory disorders, brain tumors, all of them related, to the function of the altered brain proteins.” To learn more about the science and dangers surrounding EMF pollution – read the “BioInitiative 2012” report, prepared by 29 authors from ten countries, ten holding medical degrees (MDs), 21 PhDs, and three MsC, MA or MPHs. There is a second danger to having Smart Meters and that is loss of privacy. How would you feel about being spied on by your government? How would you feel about being told when you could use the technology and appliances in your home and how much power you will be allowed to use each day? Check out the video by Dr Dietrich Klinghardt. Next Beauty Products – Are They Safe? How much is the monthy fee to have an old meter? I already have compromised immune system and neurological issues. Hi Lauri – You have to contact your local power company for that info.